Hello! I really hope that spring has found you wherever you are (if in the Northern Hemisphere, ha). If not, I hope it comes very very soon! Spring is actually on the way out here in CA but we are still enjoying it to the fullest. Things have been busy in my Woodberry Way world and I thought I'd give some updates today. I finished up one of my WIPs (works in progress)- that's always a good feeling! It's especially satisfying to me when it's a scrap quilt like this one. 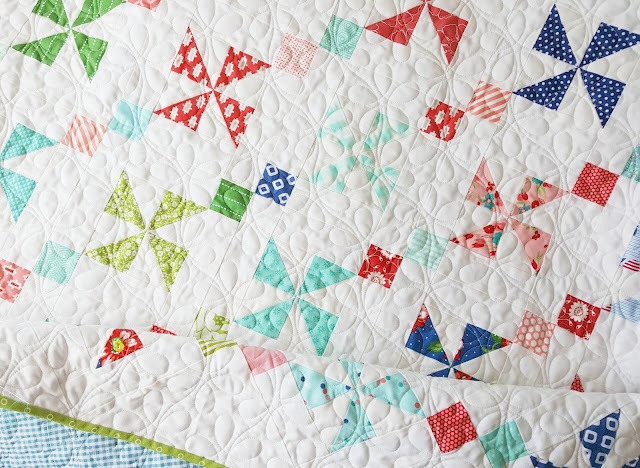 I saved the triangle cutoffs from the flying geese in my Star Kisses Quilt, sewed them into pinwheels, cut square cornerstones from my scrap bin, and followed the layout for the Chandelier pattern found in Vanessa Goertzen's latest book for charm squares. I love how it turned out! It was quilted by Starlit Quilts (as usual!) and I had her back it with fabric from her Etsy shop- just a simple small gingham check in teal. I did hand binding this time with Bonnie and Camille's Hello Darling green dot. Such a happy finish! I've also been doing some fabric pulls for my 5th (!) Jumping Jacks quilt. Every year I make a quilt for my British mom to give to one of her sisters for Christmas. She pays for the fabric and longarm expenses, and I get to make lots of fun different color combinations of one of my favorite patterns! This top pull was what I wanted to make, but this year's aunt wanted more of a traditional Union Jack palette, so we came up with the second one. It's still a work in progress, can't wait to get started. You can check out #leavittquilts on IG to see some others I've made. We've had several rainy days this month and for whatever reason I've been wanting to do a lot of charity sewing. I found a few different causes going right now if you're interested. My friend Briawna is collecting blocks for a charity auction quilts. It's an easy scrap busting block, and they look amazing all together. You can also buy raffle tickets to buy one of the quilts! Quilters is Canada are collecting blocks to make quilts for the families of the hockey players who died in a terrible bus accident. I love being able to contribute to things like this. 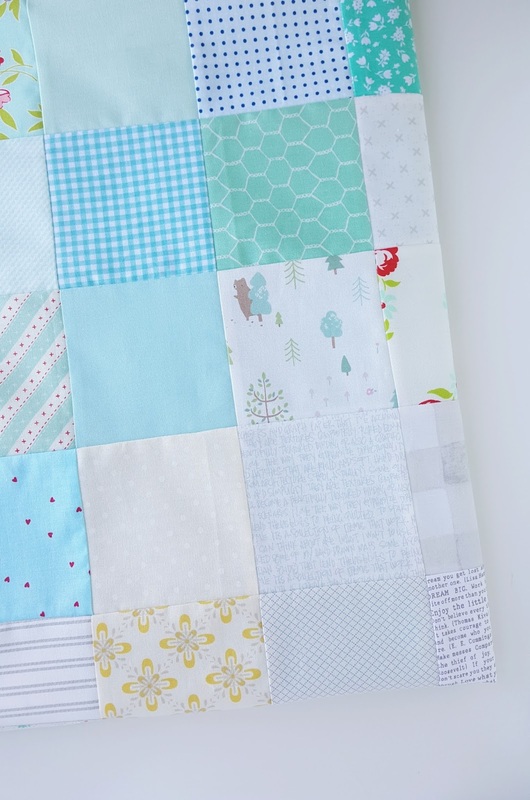 I send my love and prayers and tears with those blocks and it makes me happy to know they will be gifted a big cozy quilt to remind them of how many people are thinking of them during this very difficult time. 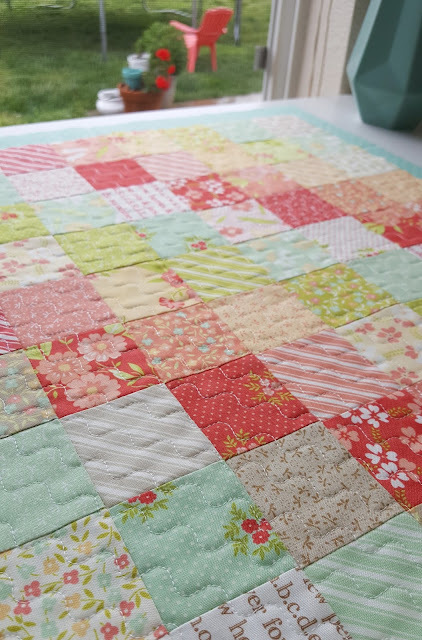 A fellow quilter lost her young daughter unexpectedly to the flu a few weeks ago. I have been really torn up about this one. She is collecting cat blocks to make mini quilts for all of her daughter's classmates. Heartbreak. I wanted to make a quilt just for her, so I put together this heart quilt today and yesterday, only to find out that someone else had already made a quilt for her in the very same pattern! So I am going to send her a different kind of package and save this for something else. 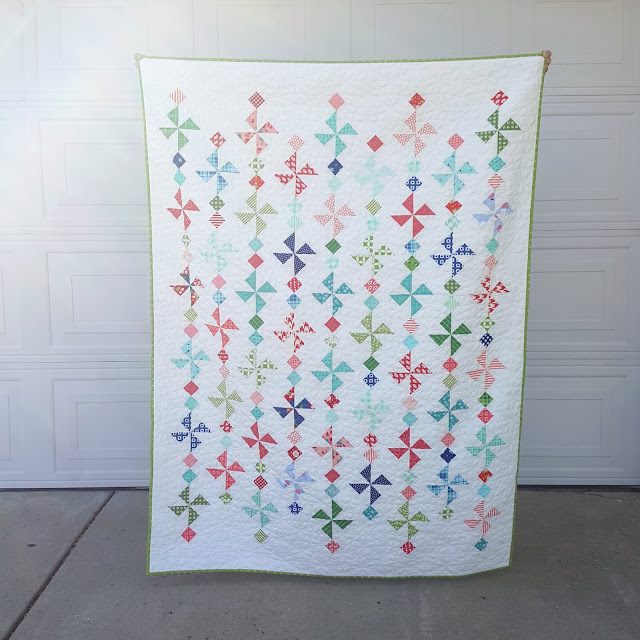 It was a really fun, easy quilt to make. I followed the layout for the tutorial by Diary of a Quilter, but cut my squares to 4" instead, and swapped the outer rows for a 4.5" cut border. This design is a wonderful stash buster too! I'm pretty much out of low volume scraps. 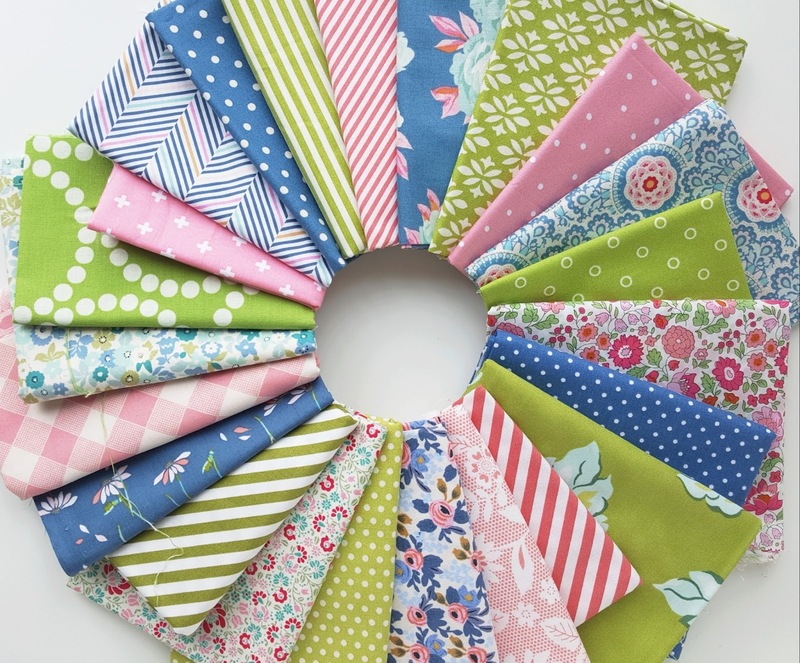 Lastly, I am loving all the new fabric lines coming out right now! I can never justify purchasing full fat quarter bundles, and I'm never in love with every single print enough to want a FQ of each anyway, so I opt for smaller precuts usually. 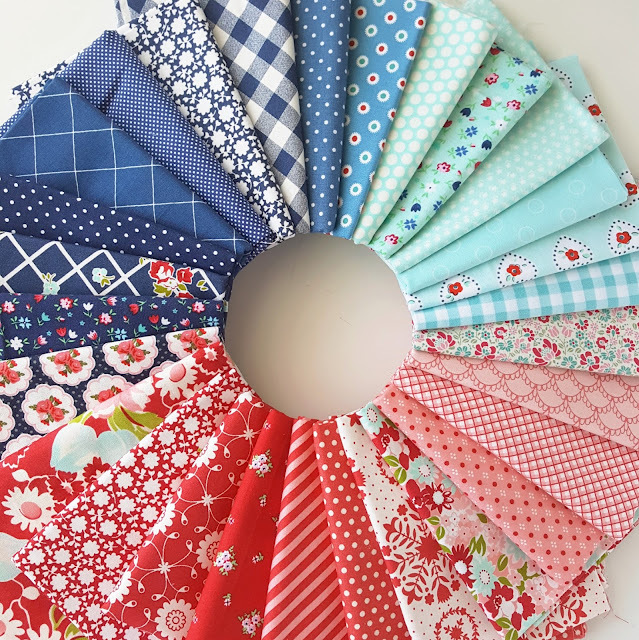 I bought two mini charm packs of Ella and Ollie by Fig Tree Quilts with no particular plan in mind, but ended up sewing them together the minute they arrived in the mail! I'll share more details on this one when it's finished. Happy Spring, be back soon! 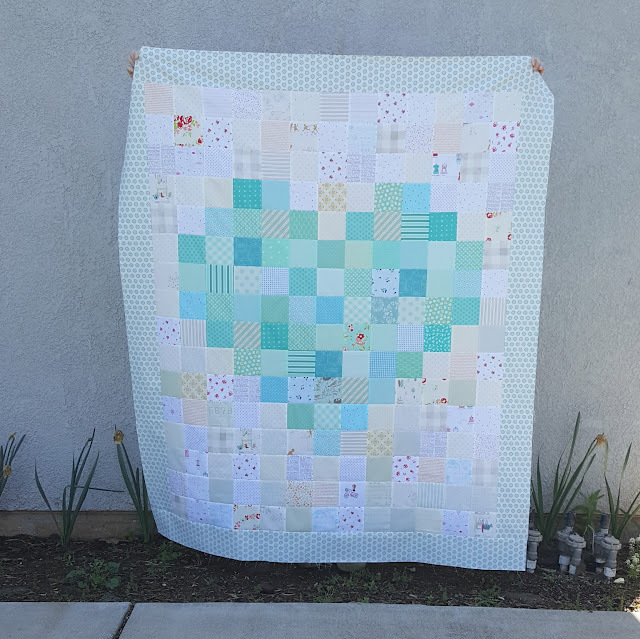 Love the above heart quilt. Someday I need to make a smaller one with just 2.5 squares for a baby size quilt. Yours is so pretty with the aqua fabrics. So much heartbreak - my heart breaks for all involved in the above mentioned incidents. Alison I love your quilts! I’ve purchased several of your patterns, they’re awesome. I enjoy reading your blog so much. You’re such a kind, caring person. I want to make some blocks for the horrible accident in Canada. My prayers are with the grieving families. Wishing you & your family the best! Suzann H.
Everything you make is so fresh and beautiful! Always a treat to see you have a new blog post.